Despite spending a lot of time dealing with food—shopping for it, preparing it, packing it and serving it—we mamas don't always take the time to actually nourish ourselves. If you've ever found yourself scarfing down your first meal of the day in the afternoon or knowing that a drive-through donut or five string cheeses isn't the right choice (but is your only choice at that point), you know what we're talking about and you need to know about Kelly LeVeque, the holistic nutritionist and health coach who is helping Hollywood moms and regular moms change their lives by changing one habit. 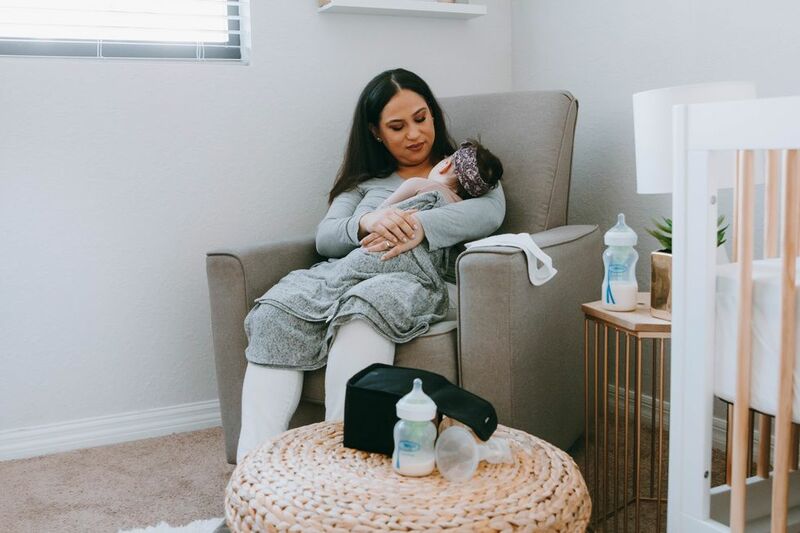 She's the woman behind the #fab4smoothie you're seeing all over Instagram, the woman who Jennifer Garner turns to when she needs help balancing demanding schedules and blood sugar, and she's helping mamas fuel themselves so that we can fuel the next generation. "Moms don't have the bandwidth to think about themselves, most of the time," LeVeque tells Motherly, adding that her clients often find her when things have become desperate, when they're overeating at night because they're not feeding themselves well during the day. "They've finally decided to put themselves first, and they just don't know even where to start," says LeVeque, who has good news for any mama who can identify with this feeling. "It isn't about changing your whole life, it isn't the meal prepping, it isn't spending six hours on a Sunday, because most of my moms barely have an hour, if at all. It really is about saying, "What can you commit to? Could you take three minutes to blend a smoothie, and put it in the refrigerator. Could you commit to just that one habit?" says LeVeque. Enter the Fab Four Smoothie. It's not a specific recipe, but a customizable formula LeVeque uses to help clients get the nutrients they need and a taste they'll love. "It just requires four things, hence the Fab Four. Protein, fat, fiber and greens, like spinach, kale, basil, whatever you feel like," she explains. "It works for any lifestyle. Say, for example, you were vegan, you'd wanna use a pea protein, but if you were paleo, or gluten-free, or into skin health, you might wanna use a collagen protein. Then, healthy fats. Good examples are almond butter, avocado, olive oil, coconut oil. It really just depends on the flavor profile you're going for." For fiber, LeVeque recommends adding chia or flax to the smoothie. 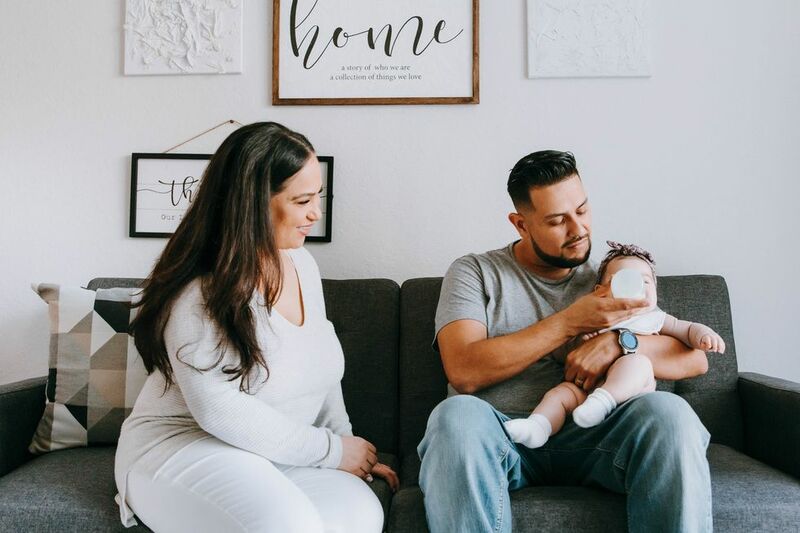 LeVeque is currently expecting her first child, and while she's had a lot of clients who use plant proteins and protein powders before and after their pregnancies, it's not something that she recommends or does personally. "I'm actually incorporating some collagen protein, right now, and the reason for that is plant-based proteins tend to be higher in heavy metals," she explains. "I'm using Primal Kitchen collagen, right now, vanilla, or chocolate. The vanilla is what I've been sticking to for green smoothies. That's a great base. I do the vanilla collagen protein, and then, in the original green, it's almond butter as my fat, and then either chia, or flax, whatever I have in the cabinet, for my fiber, a huge handful of greens. I use Organic Girl [greens], a lot. They're the triple-washed mixed-green mixes at Whole Foods." 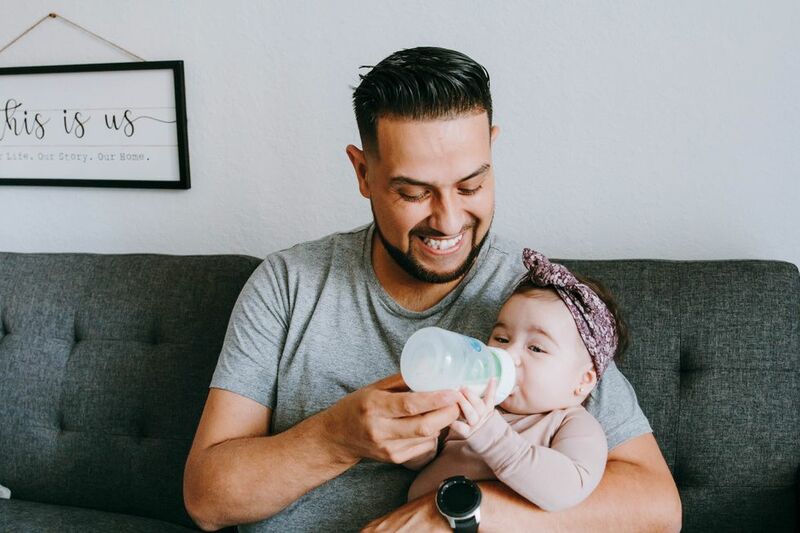 LeVeque recommends that time-strapped mamas consider blending and refrigerating smoothies the night before, and go easy on the fruit (only about a fourth of a cup) to prevent blood sugar spikes. It means your Fab Four Smoothie might not taste like the super sweet smoothies most of us are used to, but it will get you so much further. "We're taking what turns off hunger hormones, what regulates our hunger, and putting it into a shake that's actually meal-replacing," she explains. "The Fab Four Smoothie is pretty thick. It's almost like, sometimes, depending on how people make it, it can be like a pudding consistency. It's heavy enough to activate the stretch receptors in your stomach, so that ghrelin, which is a really strong hunger hormone, calms down. You get protein in there so that you're not craving sugar, and carbohydrates, later in the day." The author of "Body Love: Live in Balance, Weigh What You Want, and Free Yourself from Food Drama Forever", says that typically her clients who incorporate a smoothie into their morning make better choices throughout the day, because they're not starving and caving to cravings by noon. That doesn't mean we have to wake up and chug down our Fab4 at six in the morning. If you need breakfast right when you wake up, do it, but some people don't need to eat until 10 or even 11 LeVeque says, although she cautions against waiting much longer than that. The #fabfoursmoothie may be Instagram worthy, but it's just a starting place, not the entire picture. But starting our day with one and figuring out that protein+fat+fiber+greens formula can help busy mamas figure out what works for them, and help them feed their kids better, too. "This is a lifestyle. It's a life-changer, and it's not about rules. Every single time I sit down with clients privately, they want more rules. They feel safe in rules. What I want my clients to always know is that if you understand the biology, you don't actually need rules. You can eat out, without having anxiety. You can pull something together, really quickly, from your fridge," she explains. "Eating healthy doesn't have to be this beautiful, Instagram-able bowl. It's really about simple ingredients, real whole foods, and eating them in a combination that makes you feel full for hours," LeVeque adds. Sounds a lot better than a cold coffee and some broken Goldfish.